Returning to work can be a stressful time - especially when we see the rejection emails pile up and the exponentially depleting bank balance. Sometimes your CV can be the problem. Perhaps it is too long too short, not focused on the right employers. Here are a few CV writing tips to help those who are returning to work. A fundamental thing to consider when writing your CV is keywords. Keywords can be skills, qualities; specific knowledge employers are looking for like communication or being target oriented. All of this information can be found in the job description and should also be included in a cover letter. Some employers, especially those who have hundreds of applicants use a parsing software - it is a programme where employers put in key skills they are looking for and it automatically filters out CVs that do not match. 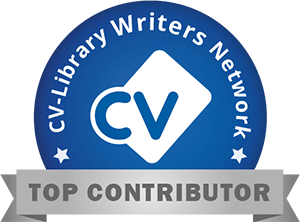 This is also how CV databases such as CV Library works so it is important to make sure you highlight your abilities when writing your CV to return to the world of work. Work experience or volunteering is a great way to enhance your CV if you are returning to work. If you have been out of work for a while employers can question your ability to slip back into working life - show them you haven’t lost your unique edge by being out of work. Work experience looks great on your CV and you have a chance to learn new skills, better still, it helps when you have to explain career gaps to an employer. A good CV format can be just as important as the content. If you haven’t been out of the job market for long, it’s often best to create a reverse chronological CV where you put recent experience first and work backwards. A functional CV - where you list skills and provide examples - is a great bet when you have been out of work for a while or are looking to join a new industry. It shows employers you already have the skills they are looking for. It is also advisable to add a personal statement to help employers understand why you are coming back to the work place - keep it short, to the point and focus on being job ready and the skills you can bring. Another good CV tip for those returning to work is to have a professionally written CV. From only £25 PurpleCV will provide you with a great CV to help get you an interview. Our CV writers know your industry well and what will work for you so you don’t have to worry. Sometimes we just need a little push and PurpleCV can help make an already taxing situation a little better. Check out or CV Writing Service page or Contact Us today.